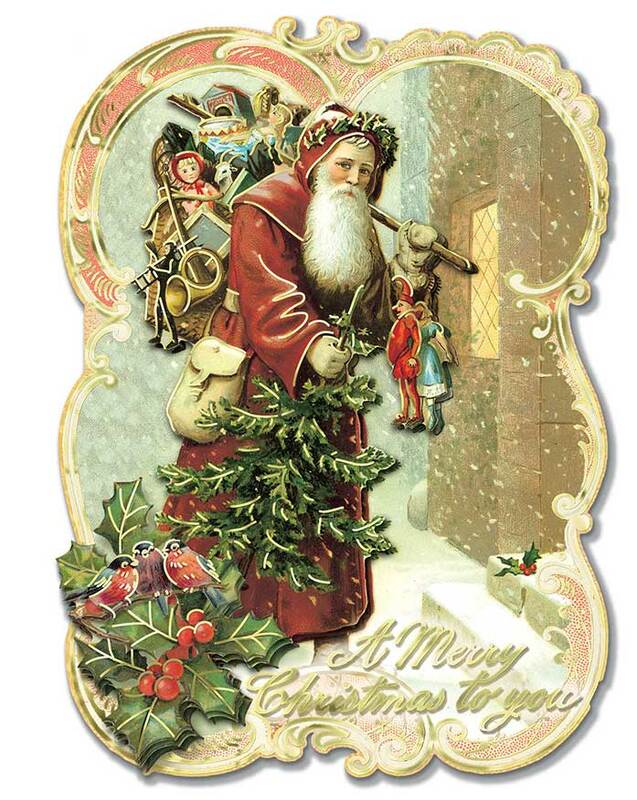 St. Nicholas himself graces the front of these gorgeous Christmas cards! Santa Claus carries a bag laden with toys in one hand, and a small evergreen in the other. Holly leaves and berries and a trio of small birds sit upon the corner of the card, and the message reads, "A Merry Christmas to you" with "...and a Happy New Year!" printed inside. These cards have a vintage charm to them, and gold foil adds a festive shimmer!